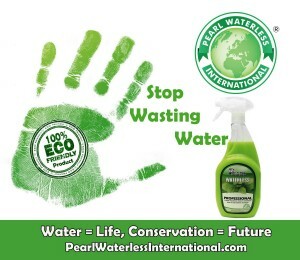 Pearl® Global Ltd cover every aspect to give you all the relevant information and support to present to your clients, local authorities and government bodies to advise them of the waterless business opportunities and the time has never been more prevalent to stop the needles wasting of water before it is too late. 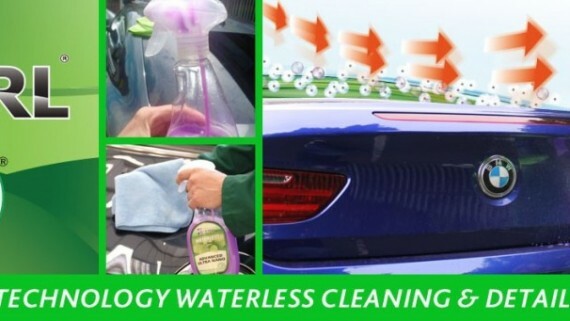 All our waterless products have been commercially tested and are successfully used throughout the globe; providing individuals, organisations and businesses with outstanding opportunities to use and distribute the leading professional waterless wash and detailing system to the auto, marine, aviation and home industries; saving time and effort, producing an unrivalled finish in hot and cold, dry and wet conditions, with no run off pollution into waterways, saving precious water and energy. 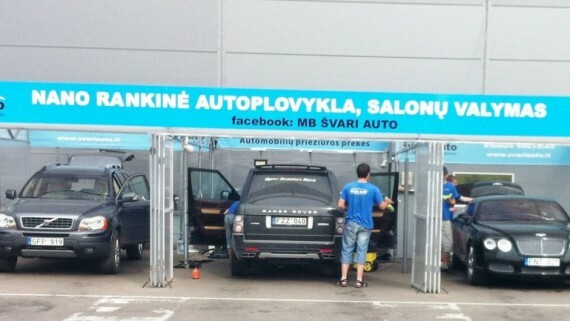 Fast – Depending on size of vehicle and condition, an average exterior service can be carried out in 15-20 minutes using between 100ml – 160ml of product. 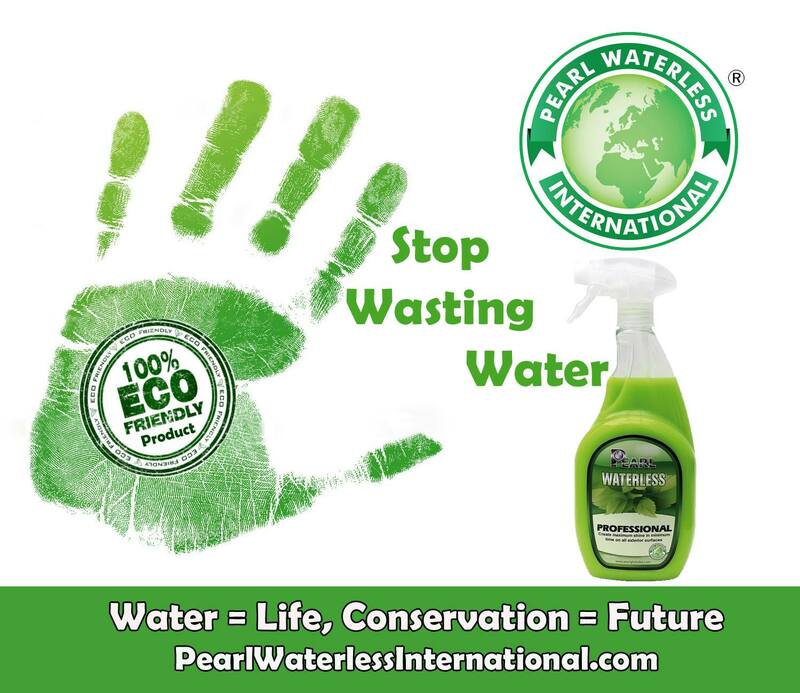 Versatile – A mobile waterless service using the high performance of Pearl products enables the user to deliver unrivalled quality any time, any place and absolutely anywhere. With minimum products and equipment, a mobile valeter can simply arrive on site, locate the vehicle to be cleaned and without disturbing the customer for a water source, power point or vehicle movement, can carry out a showroom finish and leave without creating any mess, fuss or waste. The service and results are astounding without causing any disruption or pollution to the surrounding environment, over-spray to neighbouring vehicles or requiring precious time allocation from the vehicle owner. 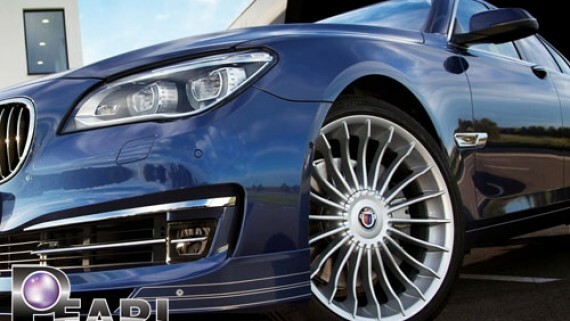 Quality – Premium wash, highly polished and wax protected all-in-one with unrivalled performance delivering a level of quality that ensures every service will attract a further booking and from onlookers many potential customers. Economical – No expensive equipment required to carry out a waterless service, gone are the requirements for big vans to carry 1000 litre water tanks, pressure washers, blow driers. No expensive investment in pressure washers that require vast water resources, electricity, kerosene, extremely heavy or impractical to transport or require a secure static site with a waste water interceptor and sky high insurance cover policies. That by law, commercial operations have to ensure that none of their waste water is going where it should not. 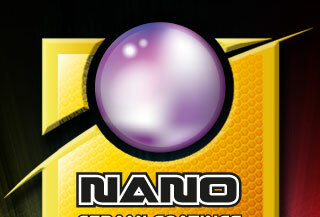 So hazardous products such as thinners, coolants, effluents, vehicle-cleaning detergents and oily waste water, etc. must firstly be treated before entering the sewer system. They must have a sediment tank or a silt trap when draining workshop floor; and an oil separation system for any oily or greasy waste water to prevent effluents directly entering the drains. They must store all chemicals and contaminated components (oil, brake fluid, battery acid, coolant etc.) 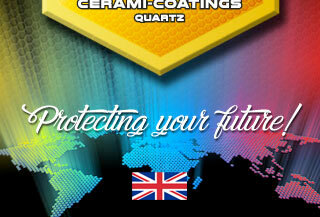 in sealed and leak-free containers or bins, making sure they are all undercover and clearly marked. Certain waste liquids are classified as “traceable”, which means they require special monitoring and reporting with special disposal procedures. These include oils, transmission fluids, batteries, solvents, paint waste and oil and fuel filters, unless flushed and drained of oil. Traceable liquid wastes must be collected and disposed of by a licensed contractor for recycling or reuse. Pearl® registered trademarks and continued membership with the British Chamber of Commerce together with industry our leading Pearl BS EN ISO 9001 & 14001 manufacturing accredited standards, will give you the reassurance of the proactive lengths our organisation goes to ensure guaranteed continuous product quality, technical support and exemplary service levels are maintained at all times to safeguard your business. 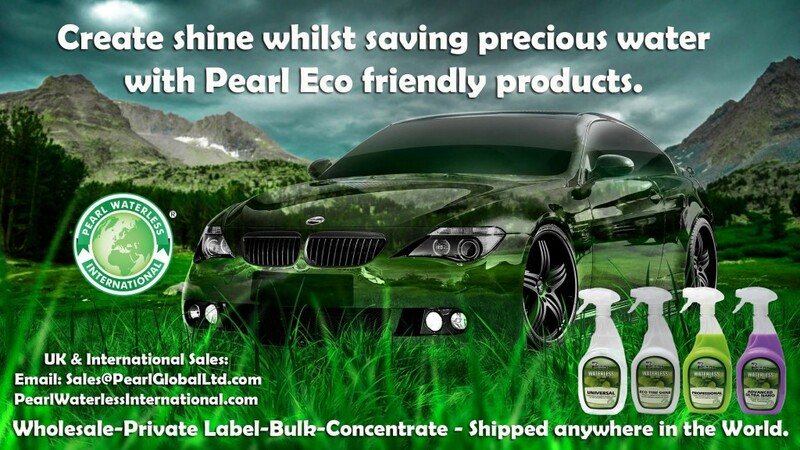 Investing in the very latest processing equipment and using only the very best ingredients in our formulations ensures that Pearl® are able and committed to produce technologically advanced waterless automotive wash and polishing solutions for the EU and global markets as a whole, enabling your esteemed company to be at the very forefront of quality with industry leading products. Simply spray, gently wipe lifting liquefied dirt from vehicle using a microfibre cloth and buff with a second microfibre cloth to a brilliant Showroom Shine. No Mess, No Fuss, No Waste… Create the WOW-Factor with Maximum Shine in Minimum Time!